Annapurna. Edurne Pasaban bags her 13th 8000-er. 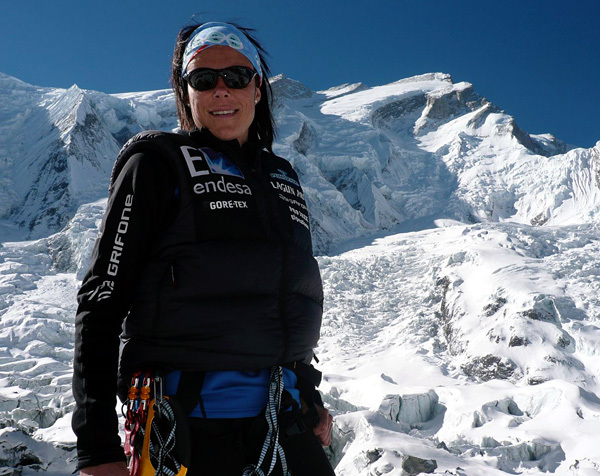 Serguey Bogomolov, who's a member of International Expedition, called from Annapurna BC: Edurne is on the summit! At 13-30 Joao Garsia reached the summit. 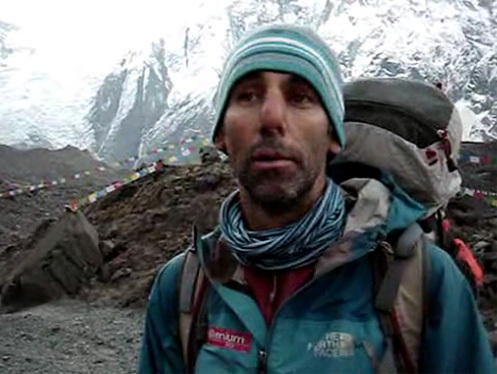 He acclimatized on Pumori with the team led by Piotr Pustelnik, and managed to climb Anna very fast: just to C3 from BC, and then to the highest point. Just after him Edurne, Asier, Nacho, Alex, Mingma, Pasang, Gembu, and the other Mingma summited. It was the earliest Annapurna climb ever. Joao Garsia became the 19th person completed 14Q program, and 10th without oxygen. and the first Portuguese summited all 14 8000-ers. All climbers succesfully descened to C4.